Because you won’t depart on a European vacation without your lifeline, your Smartphone, be sure to download useful apps before leaving so that you’re always well connected throughout Europe. Here are the top Europe travel apps that you should download before your trip. Read on to discover INSIDR’s secrets about the best apps to download before a trip in Europe. 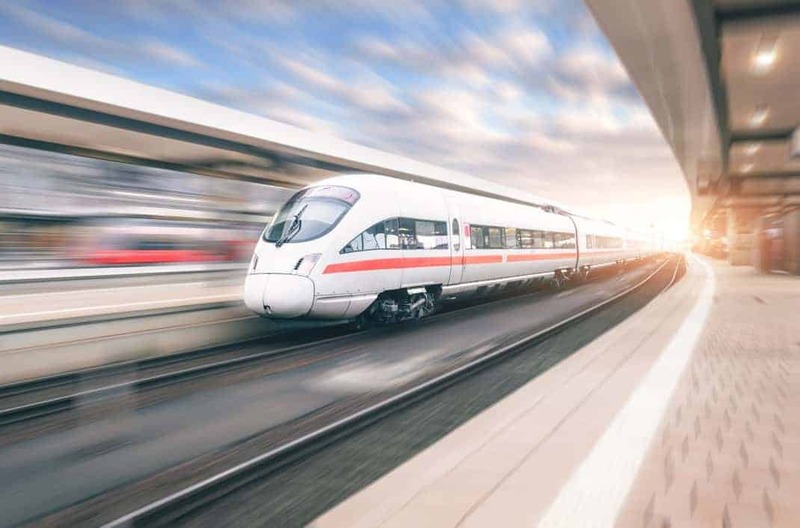 If you have a packed itinerary for your upcoming European vacation, download the below scheduling apps to keep track of your train departures and time zone, ensuring that each leg of your journey goes smoothly. This app allows you check the status of your international train departures and arrivals. SNCF, Eurostar and Thayls are all popular train lines that offer international routings to transport you from one European country to another. Some popular routings connecting to Paris are Paris-Barcelona in 6 hours on SNCF, Paris-London in 2 hours on Eurostar and Paris-Amsterdam in 3 hours on Thalys. A great booking site that shows you many different travel options for your journey is Rail Europe, but be sure to download the Trainline EU app to keep track of each leg of all of your international travels! Circa is an app that allows you to keep track of which time zone you are in, in addition to keeping track of what time it is back home. If you’re traveling to Europe from the United States, Australia or Asia, adjusting to jet lag and staying up late or waking up early to talk to loved ones back home are natural parts of the beginning of your vacation. Circa will allow you to keep track of the time zone back home as well as where you are. It’s important to remember that not everywhere in Europe is on the same time zone. Between Lisbon, Portugal and Barcelona, Spain for example, there is a 1 hour time difference even though the countries are so close and the flight may only be under 2 hours! Circa will make sure that you do not forget any time zone changes, once again keeping your travel plans on track. Whether you plan on taking public transportation throughout European cities, driving from city to city or leisurely biking around bike-friendly cities, here are the apps you need to have. Citymapper is the best app to use for navigating the bus and metro routes of European cities. Citymapper will tell you the travel time and prices for the walking route, the bus route, the metro route (as well as RER route in Paris), and an Uber ride to your destination. Citymapper exists in 39 cities in the world, and 20 of those 39 are major European cities. Click here to discover Citymapper’s cities. You may have seen Waze being used by an Uber driver before, as it is the best app to use for navigating while driving. Waze shows you the route with the least amount of traffic, helping you navigate around busy cities and safely taking you to your destination. If you plan on renting a car and taking a road trip around Europe, this is the app you need. While in Paris or any other European city, renting a bike is a cheap and fun way to get around. In Paris, we recommend using the app Vélib to locate bike rental stations as well as return them when you’re done. Some other popular cities where renting a bike would be both an economical and pleasurable mode of transportation include Amsterdam, London and Copenhagen. Download the app Donkey Republic to rent bikes in these and many other European cities. Click here to discover Donkey Republic’s cities. Download these apps to save you time when looking for a parking spot, visiting a busy tourist destination or even, need to go to the restroom! When driving around European cities, finding a safe and easily accessible parking garage can be stressful and time consuming, not to mention a waste of gas. Downloading the app Parkopedia will solve all of these problems by telling you where the nearest parking garages are and if there are spaces, in over 1000 cities worldwide. Hurikat is a useful app for travelers who don’t want to wait in long tourist-filled lines for museums and monuments. Harikat is the ultimate time-saving app because you can plan your day around which sites have the least amount of people when you plan on visiting them, saving you lots of precious vacation time! Toilets in Paris is a Paris-specific but phenomenal app for travelers who are out for the day, and desperately need to use the restroom! Paris has many public restrooms around the city that can be easily and most importantly, quickly located with this app. That’s why this has quickly become one of the best Paris travel apps.